Samara N. Alvarado was born on February 29, 2012 and sadly passed away on April 13, 2019. Samara is remembered and loved by her father Jose Alvarado, mother Cynthia Trujillo, grandparents Yolanda and Carlos Alvarado and Denise Carrillo. That is not to say her loved ended there. Samara’s love extended to surrounding family including her doctors and therapists. It seemed as though a love like this could only exist in Disney movies. But it did exist through her. Though her time with us was short, the impact she left will be felt forever. Like a Disney movie there are no sad endings with her passing. Though she is gone she will not be forgotten. 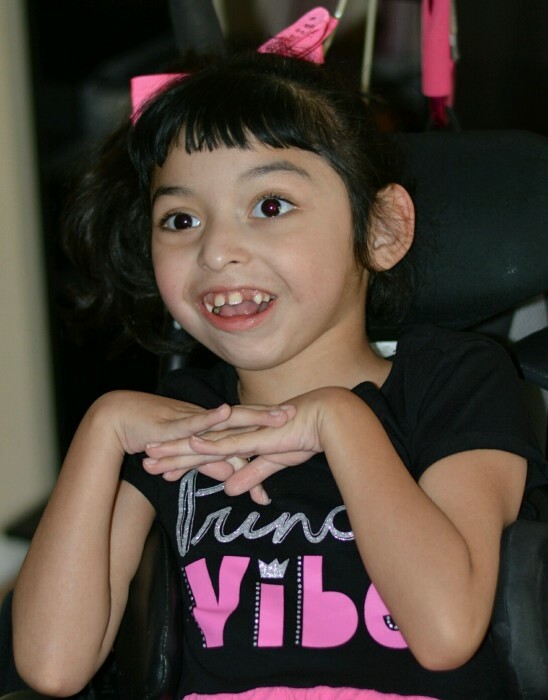 Samara's Life Celebration will begin with a Visitation on Friday, April 19, 2019 at 9:30 a.m. at Salazar Mortuary located at 400 Third St. SW Albuquerque, NM 87102. Followed by a Service at 10:30 a.m. The family asks that guests do not wear black. Samara was vibrant and full of life no matter what obstacles she faced, we would like to celebrate that.